Amazonian fires are undoing the UN REDD (Reducing Emissions from Deforestation and Degradation) programme. Naturally occurring fires on this land are rare. Farmers burn a patch of forest every three to five years to improve the nutrient levels of the soil. This fire often spreads to the forest. Emissions from these fires are offsetting the UN programme to stabilize the world’s largest rainforest. A study found that fire occurrence rates in the Amazon increased 59 per cent in areas with reduced deforestation. Humans are sharing the planet with far lesser number of living species than earlier believed. What was considered to be in the order of tens of millions has shrunk to about 5.5 million. The phylum arthropoda— consisting of insects, spiders, mites and hundreds of other creepy, crawly creatures— bungled the calculations. 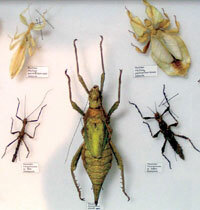 The arthropod species could range between two and seven million, with the best estimate at 3.7 million. To that number add 50,000 vertebrates excluding humans, 400,000 plants and about 1.3 million others, mostly microorganisms, and the total comes to almost half of 10 million. How they do it is not clear but they sure could bring a smile to those fighting fat buildup. Capsaicin, the active ingredient that makes chilli peppers so hot, can shrink body fat. 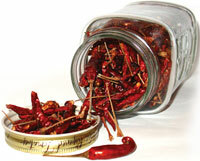 Scientists fed highfat diets with or without chilli peppers. Those that ate the peppers lost eight per cent of their body weight and showed changes in levels of 20 proteins that can fight obesity. Globally, there are more than one billion overweight adults and about 300 million of them are obese, said WHO. 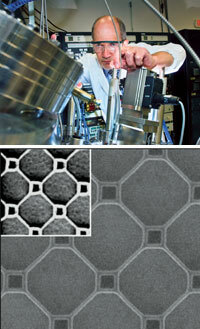 Scientists from Israel and the US have fabricated thin films patterned with superconducting nano wires and nano loops. These carry electric current with no resistance when cooled below -243 degree Celsius and placed in a magnetic field. Manufacturing such wires is difficult using conventional superconducting material. The team used a thin film of copper oxide and etched patterns of wires on it using a superconducting material. It worked like wires and switched from the non-superconducting state to the superconducting with change in temperature. Two small RNA molecules fine-tune the functioning of red blood cells. Without these even anaemia could be fatal. Scientists genetically engineered rats to have neither of the two molecules, MiR144 or MiR451. Normal rats produce large, round red blood cells that become disc-shaped, lose their nucleus and carry haemoglobin. The RNAs help them accomplish this. But without the genetic fragments in the engineered mice, the cells remained as precursors. By increasing the number of precursors, the rats could carry out the red blood cell functions but a mild anaemia persisted. When the scientists chemically induced a more severe anaemia they died. The British colony Jamestown, established near Chesapeake Bay in 1607, was challenged by disease and hunger. 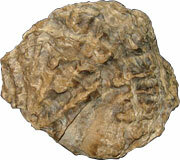 But even during severe drought oysters were available in plenty. 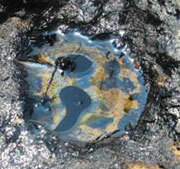 The shells now provide clues about the environment in the area. Shells showed that the James river became salty during the prolonged drought due to decreased runoff from surrounding freshwater rivers. These conditions promoted oyster growth but also allowed salt intrusion into the groundwater that fed the wells. This led to a water shortage, exacerbating disease. 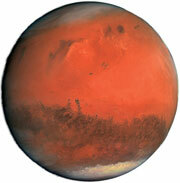 Mars has the most Earth-like conditions and yet its chemistry has been quite difficult to fathom. Scientists have no definite answer for the age-old question whether or not the planet can or did support life. The reason lies in the absence of organic matter on its surface. On Earth life forms like plants convert carbon dioxide and water into organic compounds via photosynthesis. Other life forms break them down to carbon dioxide and water and so the cycle continues. Astrobiologists have found iron oxides—that give it the reddish hue—in abundance on Martian soil. The compounds oxidize organic molecules containing carbon, breaking them down and releasing them into the atmosphere. This way the Martian surface is a cleaning surface, said researchers. So to find out whether there ever was organic matter that got cleaned up one would have to dig deeper for evidence, they added. Why wait to send soil samples to laboratories to confirm the presence of oil during a spill? This takes time and money, delaying remediation. A team has devised a way for quick detection. Using near-visible infrared with technology called diffuse reflectance spectroscopy they shone light on soil samples and recorded the reflecting wavelengths. This helped them rapidly detect the presence and the amount of oil contaminants in the samples. Peatbogs are effective carbon sinks. Dams are often built to protect them from drying. But researchers from University of Plymouth, UK, show that this reduces plant and animal diversity. Water levels rise rapidly after a dam is built and the organisms are unable to cope. Instead, methods that lead to a gradual increase in water level would be more effective. These include filling in drainage ditches and reversing incision by streams. Scientists have precisely mapped the bluefin and yellowfin tuna fishing sites in the Gulf of Mexico. Yellow-finned fish are more widely distributed throughout the warm Gulf waters and the bluefin tuna is restricted to the slope waters of the Gulf. The study also points out that the spawning ground of the bluefin tuna coincides with the BP oil spill site, raising concern about its conservation.